Struggling to find a good daily routine? Want your days to feel more predictable? Want the kids to nap better, eat better, and be less fussy? I've had 5 kids in five years. That means at home during the day right now I have a 7 year old, 6 year old, 5 year old, 3 year old, and 2 year old. That's a whole lotta kids... DON'T YOU SEE WHY I love routines? As you can imagine... routine gives us sanity. 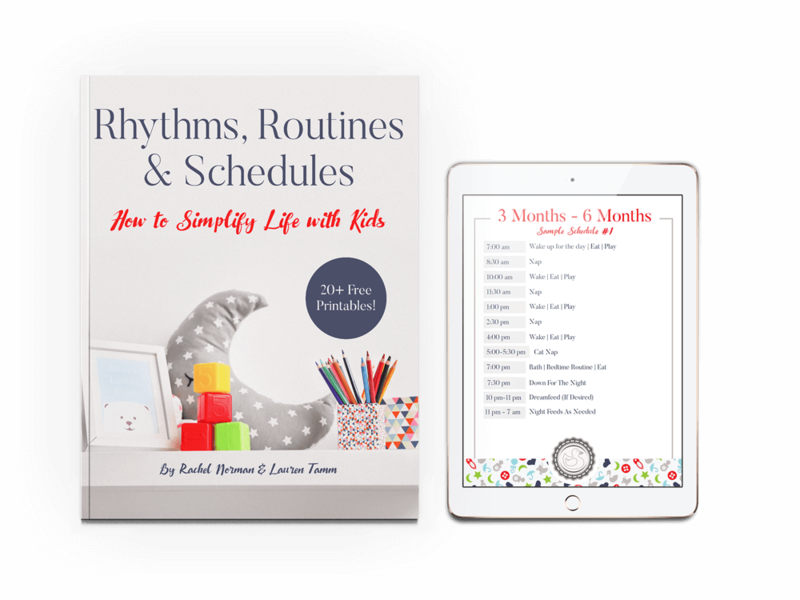 30+ routines and printables! This is a must read for mothers of babies, toddlers, & preschoolers. and see just how well this book will work for you! Hi, I’m Lauren, the mom behind The Military Wife and Mom blog, where I write on practical parenting, enjoying motherhood and navigating the ups and downs of military life. Struggling as a new mom and looking for a way to connect with others, I truly found my passion when I discovered no-nonsense ways to parent with purpose. I love helping others do the same. Hi, I’m Rachel, mother to 5 children ages 6, 5, 3 , 2 and baby. Life is a wild ride and around here we love swimming, glow sticks, eatin' grits, and riding in trucks. On my blog I share down to earth parenting tips for practical mothers.